“Funeal do lavrador” (Funeral of a worker) has got to be one of my all-time favorite tracks. 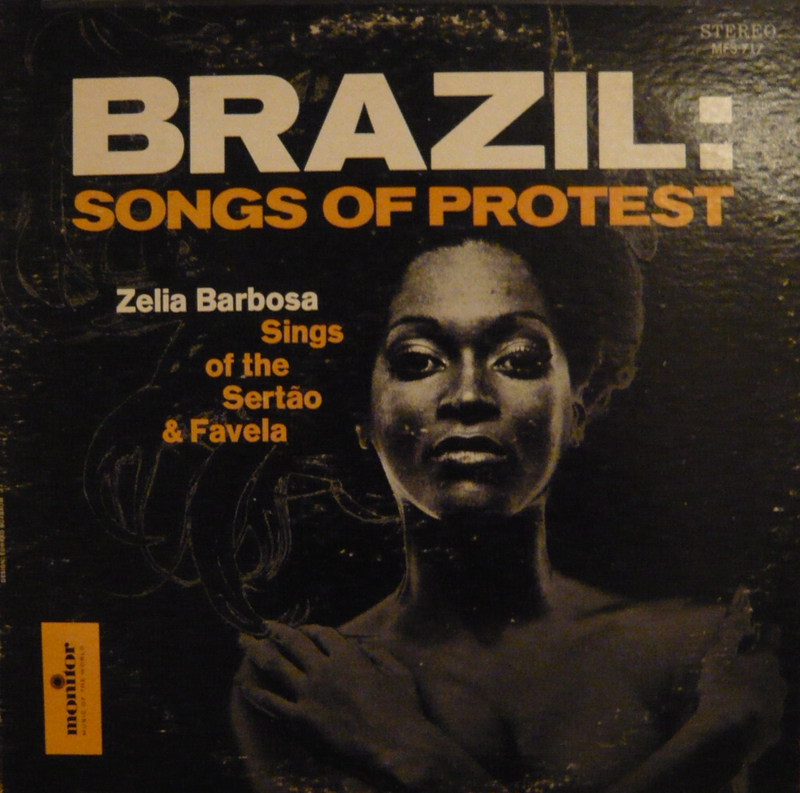 The heavy cowbell, the simple, dark minor chords on the piano, and Zelia Barbosa’s powerful voice–it all works. I don’t know much else about Ms. Barbosa, but my ignorance of Brazilian music is matched only by admiration of it, so if anyone can educate me (us) that would be great. With a little YouTube search, I found a video of Zelia Barbosa endorsing Lula’s Workers Party, which seems appropriate given this song, though I can’t be sure if it’s the same woman. (Seems she’s running for office? My Portuguese is worse than my Haitian creole…)Visually, I like the French cover (on the Le Chant du Monde label) better than the American cover, but both commit what I consider one of those unforgivable sins of the so-called world music labels: placing the name of the country above the artist, as if the singers and musicians were interchangeable. Even with a cursory listen to this track, you’ll know Ms. Barbosa’s voice is unique. (I had a similar issue with the presentation of Atis Independant on the Paredon label, which had extensive linter notes about Haiti but not a single musician’s name. )The French record doesn’t even credit Ms. Barbosa anywhere on the front. 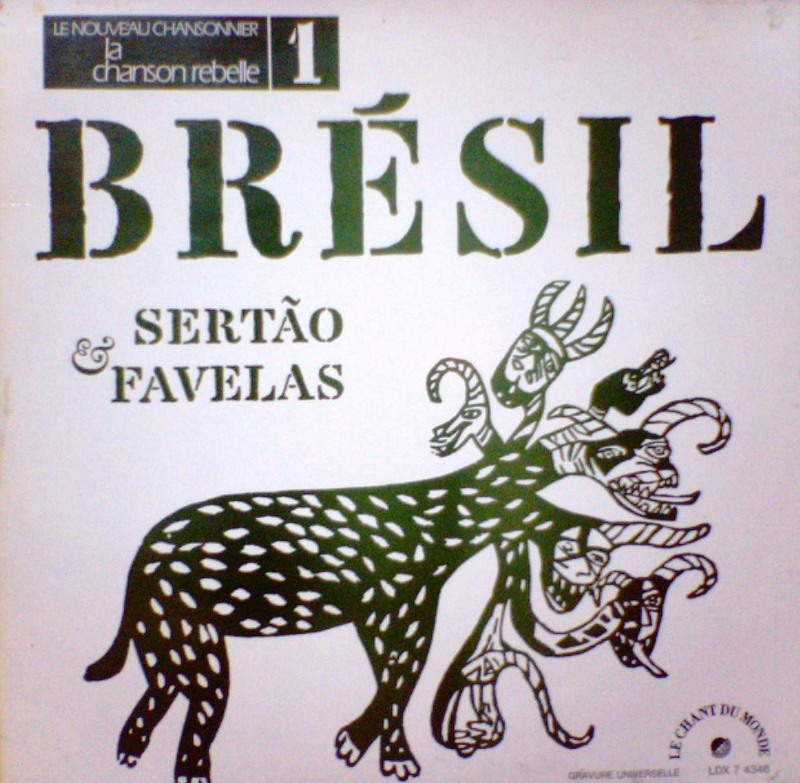 I’d wager the Brazilian album does not commit this oversight. In spite of these reservations, I will say a kind word about Monitor Records: they did some incredible work in the Sixties and Seventies, and thankfully, their catalogue is part of Smithsonian/Folkways now. Get this album. You won’t be disappointed. This entry was posted in PELANGA RECORDS! and tagged Brazil, Zelia Barbosa by Franz Tunda. Bookmark the permalink.